The City of Boston, in partnership with the state’s Executive Office of Elder Affairs, today hosted a first of its kind “housing surge”, designed to connect chronically homeless seniors with housing and services. The event, held at the Laboure Center in South Boston, marks the first time housing and integrated care services have been offered together, and launches a new partnership between the city and state designed to end chronic homelessness in senior populations across Massachusetts. Attended by Secretary Alice F. Bonner, PhD, RN of the State’s Executive Office of Elder Affairs, Daniel Tsai, Assistant Secretary for MassHealth, Boston’s Elderly Commissioner Emily Shea, Boston Housing Authority’s Gail Livingston, Deputy Administrator for Housing Programs, and Boston’s Chief of Housing Sheila Dillon, today’s surge was staffed by 25 different agencies. Seniors attending the event were given “passports”, which guided them from table to table where they were able to determine their eligibility for various types of support services. Seniors were able to meet with representatives from state programs including the Program of All-inclusive Care for the Elderly (PACE); Senior Care Options (SCO); Pay for Success and Community Supports for Persons Experiencing Chronic Homelessness (CSPECH) to determine their eligibility and interest in these programs. At today’s surge, the Boston Housing Authority was able to connect 16 homeless seniors with units of permanent supportive housing. This is the first time that guests at a housing surge have been offered specific units of housing, rather than vouchers. The BHA was able to accomplish this by creating a super-priority for chronically homeless elders who are going to be receiving services. In preparation for the event, city, state, and non-profit partners worked together to create a list of chronically homeless older adults, and undertook significant outreach at shelters and throughout the city to spread awareness of this opportunity. The chronically homeless seniors who attended the surge were identified as likely eligible for state benefits including long-term services, supports, and integrated care. The U.S. Department of Health and Human Services defines chronically homeless individuals as adults with a disability who have been either living in an emergency shelter or in a place not meant for human habitation continuously for 12 months or more, or who have had four occasions of homelessness in the past three years that total 12 months or more. Those individuals in need of translation services were identified in advance, and translators were on hand to assist with language barriers. In addition, individuals with accessibility issues had also been identified ahead of time, with accommodations made in advance for their specific issues. Individuals also received breakfast and coffee, provided and served by volunteers from the BostonHome Interfaith Collaborative. BostonHome Interfaith Collaborative faith community partners also donated gift cards for attendees. This is the sixth in a series of housing surges hosted by the City of Boston. The first three surges focused on homeless veterans; the last two focused on all chronically homeless individuals. The previous events have in total served over 200 homeless individuals, during which 41 received permanent housing vouchers on the spot, along with enrollment in housing search, while others received rapid rehousing assistance, applied for housing and obtained documentation that will help them secure permanent housing. 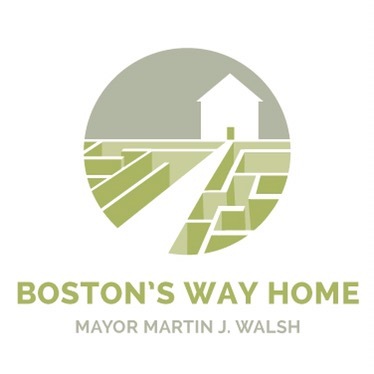 For more information on the City of Boston’s plan to end chronic and veteran homelessness, please visit our new presence on boston.gov or follow us on Twitter: @BostonsWayHome.